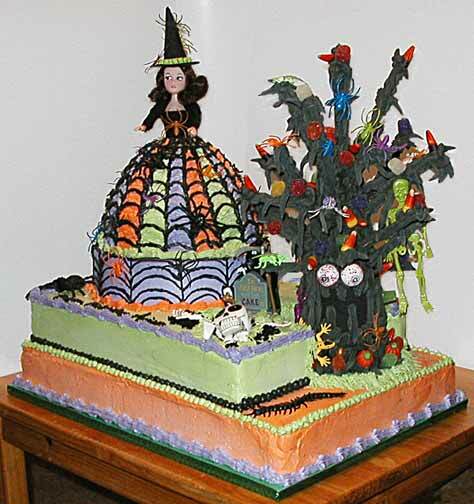 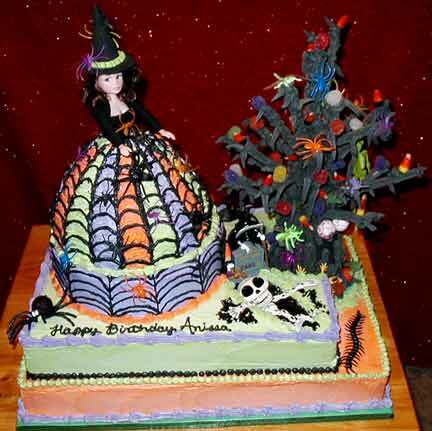 We don't ordinarily like to scare kids, but when your birthday is on Halloween, you have to expect witches and goblins! 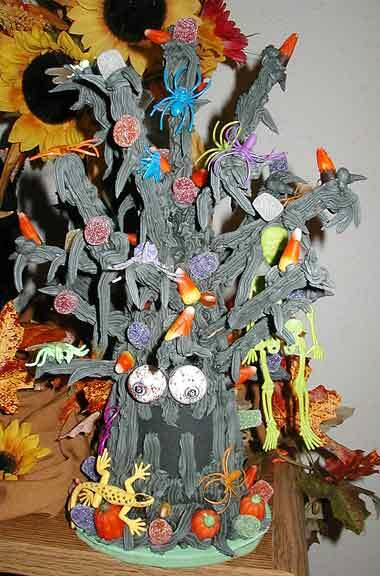 The spooky tree with all manner of creepy crawlies! 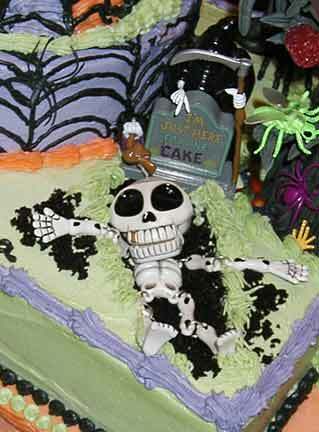 Goblins coming out of the grave, and the Grim Reaper here for the cake!